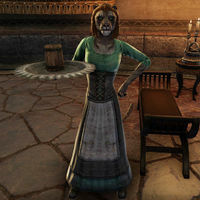 Dortabi is a Khajiit servant who can be found in Saint Delyn Plaza in Vivec City. She does not have any unique dialogue. This page was last modified on 22 November 2017, at 23:14.